We are proud to offer quality products with great value to our customers. All furniture is thoroughly inspected at several key points in our preparation and delivery process to make sure it is received in good condition. If you are picking your furniture up yourself from one of our showrooms, we encourage you to inspect the items before taking possession. Due to the care we put forth for every order, we are unfortunately unable to process returns or refunds once orders for merchandise have been accepted. If you have concerns about your order, you can call us at anytime. In the rare occurrence that an item arrives damaged on delivery or is otherwise damaged before your possession, please notify the delivery team or a customer care representative immediately. For furniture, arrangements will be made for a qualified repair technician to come to your home and correct the damage if possible. For home décor, arrangements will be made to exchange the item. Please note that we reserve the right to repair or replace your furniture as deemed necessary at our sole discretion. We encourage you to take all the measurements necessary at your home to ensure that the product you plan on purchasing will fit through your doorway upon delivery. In the rare case that there are problems with clearance, we offer a "knock down" service for an additional $200. A qualified technician will come to your home and disassemble and reassemble the necessary components to fit your product through a hallway, doorway, or inside an elevator. 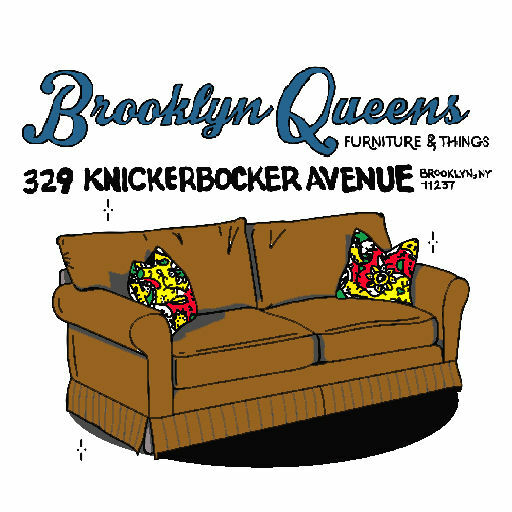 Serving our community, the furniture store on the border of Brooklyn and Queens! Connect with us on Facebook & Instagram!